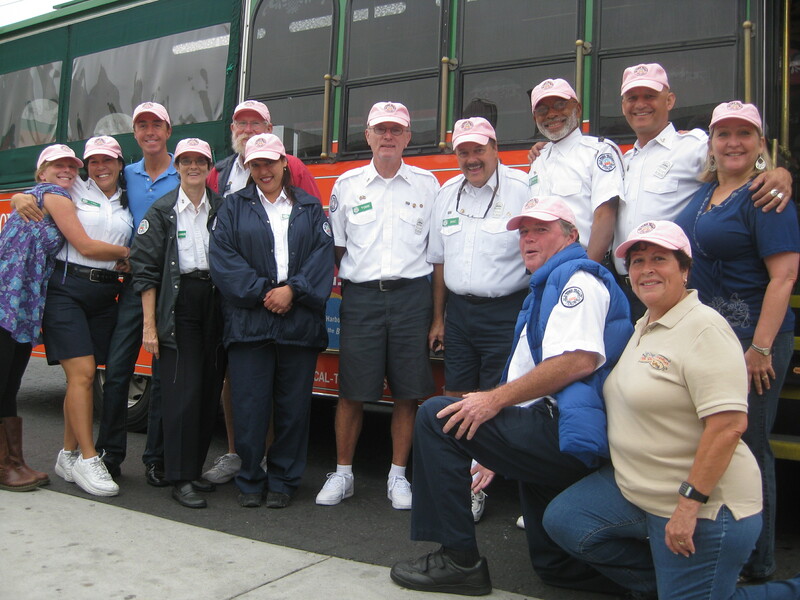 October is Breast Cancer Awareness Month and each of the Old Town Trolley Tours in Boston, Key West, San Diego, Savannah, St. Augustine and Washington are raising money for breast cancer charities in their communities. CASTmembers will be wearing hats to remind guests of their cause. In addition, the city that raises the most money in the month of October will receive and additional $1000 from their parent company, Historic Tours of America, to give to their charity. 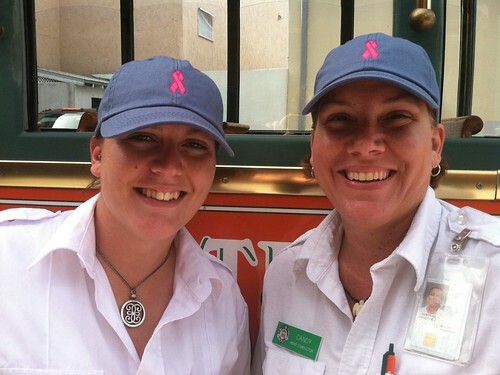 The ladies in Key West with their pink ribbon hats. Check out our San Diego Tours commercial that will be running on HomeTown TV. The campaign is part of an San Diego-wide effort to promote the city to the residents and starts airing on Monday, Oct 3rd on channel 8. The October issue of Southern Living is out and they have named Ghosts and Gravestones of St. Augustine as one of The South’s Best Ghosts Tours. This is quite and honor since only five tours were selected! 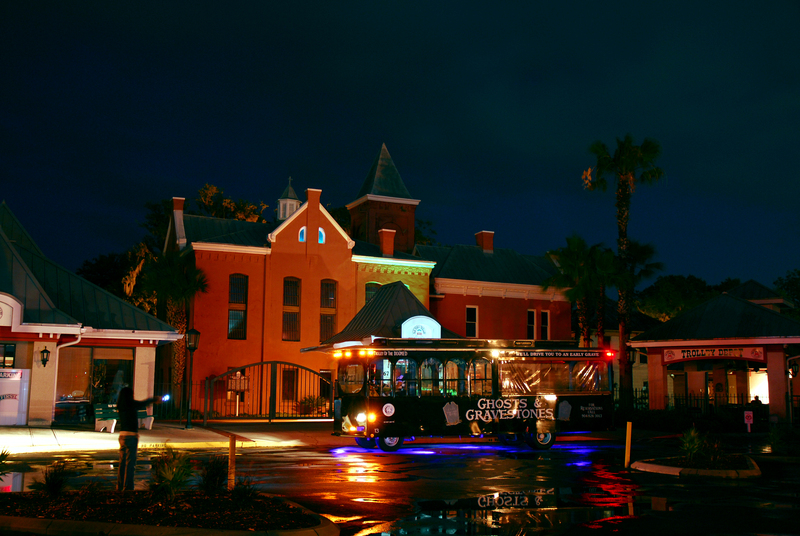 In other exciting news, our Ghosts & Gravestones tour was also selected for the second year in a row as Best Ghost tour of St. Augustine by the St. Augustine Record and www.staugustine.com! 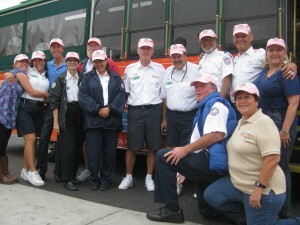 Old Town Trolley Tours of San Diego has resurrected from the dead its popular Ghosts and Gravestones tour. The tour runs through October on Friday and Saturday nights. Trust us, you will have a ghoulishly good time. 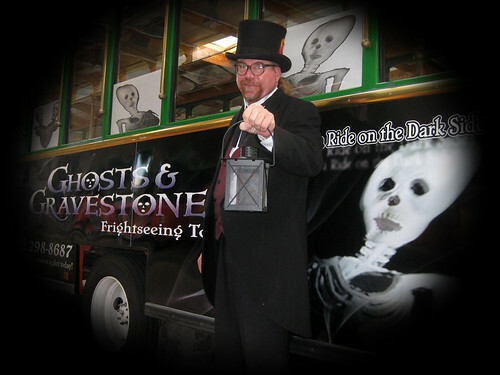 To get all the details, if you dare, visit San Diego Ghost Tours. Each month we like to recognize the fine folks in our Savannah tours operation who go above and beyond in their performance and sales. 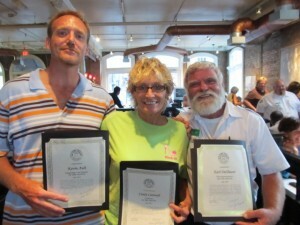 In July, as we do each month, we had another outstanding group people who fit this bill. Our meeting was held at one of our favorite places, Belfords, located in the heart of City Market. Savannah CASTmembers of the Month, Kevin Ault, Maintenance Detailer; Cindy Cantrell, Conductor and Earl DeShazer, Sales Representative. 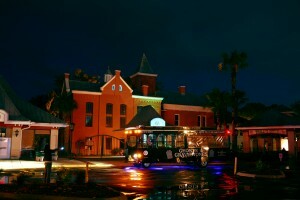 You are currently browsing the Old Town Trolley Tours Blog blog archives for September, 2011.